EV Materials Corp. is a supplier of EV paver, which is a ceramic pervious paver; 2CM porcelain pavers, and granite pavers. 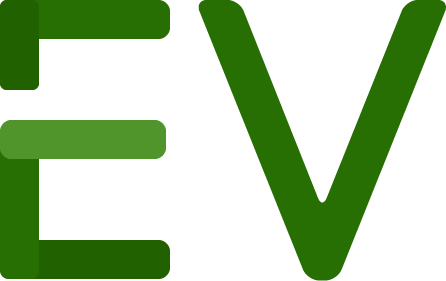 EV Materials Corp. is based in Anaheim, CA. Our 17,000 SF warehouse is conveniently located near I-5, 57 and 91 highway. We ship to all 50 states and Canada. EV Materials is focusing on the distribution of EV 2CM porcelain pavers, which look and feel just like natural stone or wood. The porcelain pavers are highly stain and scratch resistant. These are clear advantages comparing with natural stone pavers. Also, unlike natural stone pavers, you don’t need to seal porcelain pavers. 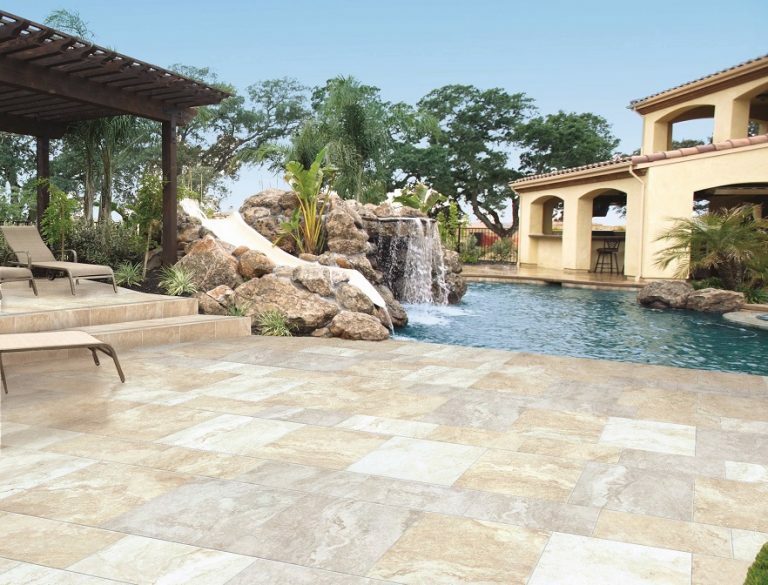 Unlike concrete pavers, porcelain pavers will not have efflorescence and will not fade or discolor. The porcelain paver is perfect for driveways, patios, public spaces, hotels, pool decks, steps, entrance ways, promenades, and walkways. With only 9lbs per square foot weight, the EV 2CM porcelain paver is ideal for roof decks on pedestal systems. The EV 2CM porcelain paver is very strong, with 10,565 PSI and over 2500 lbs in center load test. EV Materials Corp., through its division EV Paver, also distributes ceramic pervious pavers, called EV Paver. Our 2nd generation EV pavers come from the largest ceramic pervious/permeable paver factory in the world. It’s 1365ft long ceramic roller kiln is the longest in the industry. The production line is computer controlled and fully automated. Unlike the 1st generation EV Paver, which is limited in size and shape, and could not have side spacer bars due to equipment limitations, the 2nd generation EV paver can have larger sizes, more shape selections such as hexagon, and can have side spacer bars. In contrast to other permeable pavers that rely on the gaps for the water to go through, water can go through EV paver surface directly. The paver system will still be permeable even when the dirt clogs the gaps. 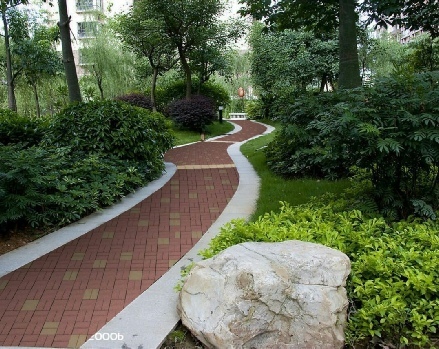 The 2nd generation ceramic pervious/permeable pavers consist of 95% recycled ceramic. EV Materials Corp. also supplies customized stone pavers, mainly granite pavers. We recently completed large granite paving projects in Ohio and Michigan.